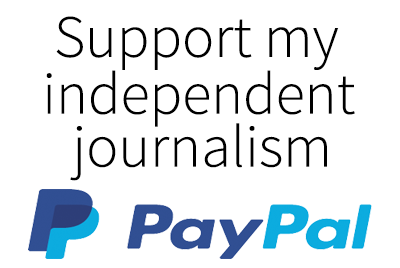 I am an independent multimedia journalist based in Los Angeles. Previously, I reported from Rio de Janeiro, Brazil and Medellín, Colombia. I am currently investigating the impacts of US immigration enforcement as a 2019 diversity fellow with The Marshall Project supported by the Fund for Investigative Journalism. I report, research, investigate, write, photograph and more to share stories of social justice, crime, corruption and security in the Americas. My work has been published by the Guardian, CNN, Univision, Splinter, the World Policy Journal and the British Medical Journal, among others. I’ve written breaking news, features, profiles, investigations, photo reports, travel, opinion, long-form reports and journal articles. Recently I reported on how marginalized neighborhoods are using hip hop and graffiti to prevent violence, how US anti-choice groups are threatening women’s rights in Latin America and how women victimized by the Colombian conflict are fighting for justice. I also worked for a year as a contributing writer for InSight Crime. From 2014 to 2016, I was based in Washington DC where I worked as a researcher, writer, analyst and advocate on US foreign policy towards Latin America. As a fellow with the Center for International Policy I wrote blogs about security assistance. As a program associate with the Latin America Working Group, I attended high-level government meetings, produced a video project with Honduran migrants and conducted fieldwork in El Salvador for the publication of a widely-cited report, among many other projects. I also co-hosted and co-produced Periphery, a podcast on security and rights in the Americas, in 2015. My work as a female foreign policy expert has been featured by Foreign Policy Interrupted and Women in Foreign Policy. I’m a Miami-born Cubana-Puertorriqueña. I’m fluent in English and Spanish, and have working proficiency in Brazilian Portuguese. I have a Bachelor’s degree in Global Affairs from George Mason University and a Master’s degree in Latin American Studies from Vanderbilt University.